As with many things cosmetic, a lot of us are less than thrilled with our skin color. We would like to be darker; we would like to be lighter; we would like smoother, less blotchy skin. But it is what it is. The color of your skin is predetermined and you can't change your basic biologic color. Whether you are very fair or very dark, is determined by your pigmentation which comes from the amount of melanin in your skin cells. Melanocytes are the elements within your skin cells that produce melanin. The amount of melanin in your skin cells determines how light or dark your skin will be. Hyperpigmentation indicates too much melanin, and hypopigmentation indicates too little melanin. When the amount of melanin gets out of balance we develop pigmentation disorders. 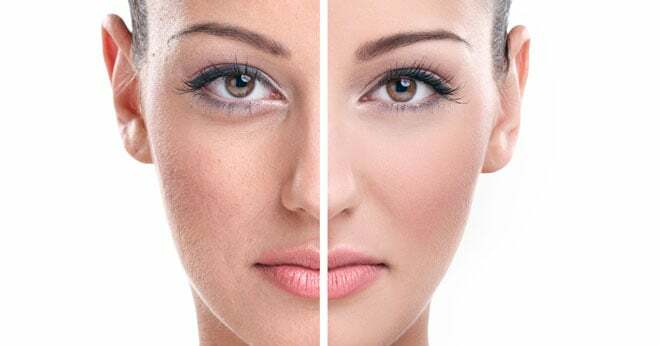 One of these conditions is Melasma which is an excessive pigmentation disorder often brought on by certain hormonal changes. It manifests itself as dark blotchy spots on the face and is especially common in young white women. We know it by its common name, "the mask of pregnancy." Melasma can also be a side effect of taking higher dose birth control pills. It is generally considered harmless and will fade with time. For people with dark skin, an imbalance in melanin may result in the development of white blotches. Some people develop a severe condition called Vitiligo. This loss of pigment disorder can occur in any race, but it is particularly distressing for those with dark skin. Many of us suffer from some degree of pigmentation disorder, generally brought on by excessive sun exposure. The results of excessive pigmentation are dark spots on the skin, often referred to as "liver spots," or "age spots." Once again, your first line of defense is protection from those harmful UVA and UVB sun rays. Exfoliating is another technique used to lessen the appearance of dark spots on the skin. Exfoliating can remove the first dead layer of pigmented cells allowing more of your moisturizer to penetrate your skin. The result will be lighter spots, and fresher, silkier looking skin. Many women feel that exfoliating twice a week keeps their skin looking healthy, but older women with dryer skin need to be wary of too much "scrubbing." In really stubborn cases, you might consider microdermabrasion or laser surgery. These are more involved procedures done by professionals and with considerable cost. They are generally effective with little discomfort or recovery time. Whatever the degree of your pigmentation disorder, there is help available, starting first with prevention. The dark spots on the skin that you see today are likely the result of sun exposure you were subject to ten or more years ago. So keep putting on that sun screen to minimize damage in the future.